WASHINGTON (CNS) — Parishioners and visitors attending the predawn bilingual Mass at the Shrine of the Sacred Heart Church in Washington Sept. 23 were urged to pray that the pope’s words during his U.S. visit would have an impact. Pray that “all will hear his message and that this country will receive what he says: the message of Christ,” said Capuchin Franciscan Father Moises Villalta, pastor of Sacred Heart, in his homily. “He understands our community,” said Marlena Aquino, adding that it was a blessing to be able to see him. Hever Leonzo said he hopes the pope brings a “positive message, especially about immigration” to the United States and the world. He said it is exciting “as a Catholic to have our leader visit us,” with the message of Christ, but he also noted that the pope has a message for non-Catholics. But that’s not to say the challenge is an easy one to live out. Sister Leticia, a Capuchin Poor Clare, said what the pope is asking for is unity in families and the unity of all Christians. 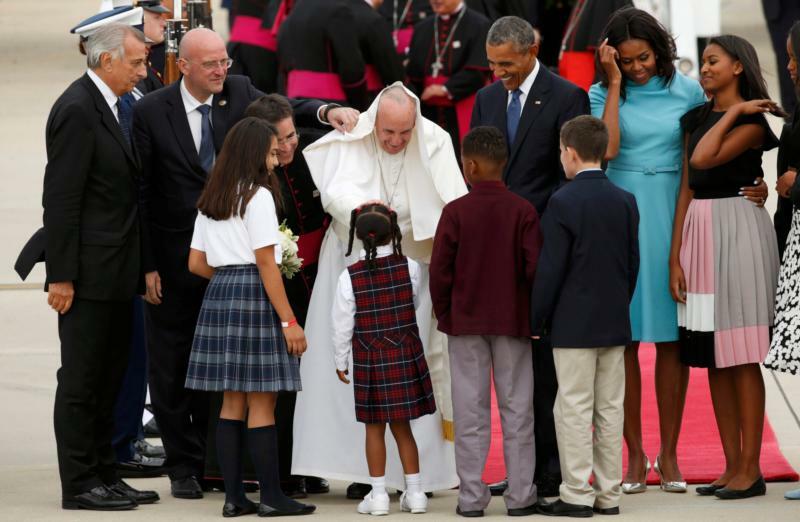 The 12-year-old hadn’t had much time to reflect on seeing the pope up close and shaking his hand but she had been asked about it by many reporters that afternoon and she said she watched herself on the news when she got home that night.